This invention relates to pharmaceutical compositions useful for regulating biochemical and cellular damage resulting from free radical reactions in living persons. This invention further relates to topical compositions useful for protecting the skin from the harmful effects of ultraviolet irradiation, such as sunburn and sun-induced premature aging of the skin. The damaging effects of sunlight on skin are well documented. Much damage is due to routine day-to-day activities in the sunlight. The major short term hazard of prolonged exposure to sunlight is erythema (i.e., sunburn). The 290 to 320 nanometer wavelength ultraviolet radiation range, designated as the "UVB" wavelength range, tends to be the primary cause of erythema. The 320 to 400 nanometer wavelength ultraviolet radiation range, designated as the "UVA" wavelength range, also produces erythema. In addition to the short term hazard of erythema, there are also long term hazards associated with UV radiation exposure. One of these long term hazards is malignant changes in the skin surface. Numerous epidemiologic studies demonstrate a strong relationship between sunlight exposure and human skin cancer. Another long term hazard of ultraviolet radiation is premature aging of the skin. This condition is characterized by wrinkling and yellowing of the skin, along with other physical changes such as cracking, telangiectasis (spider vessels), solar keratoses (growths), ecchymoses (subcutaneous hemorrhagic lesions), and loss of elasticity (sagging). The adverse effects associated with exposure to UVA and UVB wavelength radiation are more fully discussed in DeSimone, "Sunscreen and Suntan Products", Handbook of Nonprescription Drugs, 7th Ed, Chapter 26, pp. 499-511 (American Pharmaceutical Association, Washington, D.C.; 1982); Grove and Forbes, "A Method for Evaluating the Photoprotection Action of Sunscreen Agents Against UV-A Radiation", International Journal of Cosmetic Science, 4, pp. 15-24 (1982); and U.S. Patent 4,387,089, DePolo, issued June 7, 1983. Hence, although the immediate effects of ultraviolet radiation may be cosmetically and socially gratifying, the long-term hazards are cumulative and potentially serious. Sunblock agents are commercially available to protect the skin from UV radiation. These agents scatter or reflect ultraviolet radiation. Examples include titanium dioxide and zinc oxide. However, these agents are very susceptible to rub-off or wear-off resulting in little or no protection. The most common agents for sun protection are sunscreens. These agents exert their effects through absorption of ultraviolet radiation so that it cannot penetrate the skin. Sunscreens must remain on the surface of the skin during exposure. However, sunscreens are easily rubbed off or washed off by sweating or swimming and can also be lost by penetration into the skin. Conjugated dienoic acids and their derivatives, in general, are known to be useful as quenchers for protecting the skin from harmful effects of UV exposure. For example, the use of a number of compounds, including 2,4-hexadien-1-ol, for controlling the chronic effects of prolonged exposure to sunlight is disclosed in U.S. Patent 4,098,881, Majeti, issued July 4, 1978. The use of sorbic acid or salts thereof in sunscreen formulations is also known. See e.g., U.S. Patent 4,264,581, Kerkhof et al., issued April 28, 1981. Tocopherol (Vitamin E) and its esters have been disclosed for use as a photoprotector in topical compositions, without interfering with the tanning response. See, e.g., U.S. Patent 4,144,325, Voyt, issued March 13, 1974; U.S. Patent 4,248,861, Schutt, issued February 3, 1981; U.S. Patent 4,000,276, Hasunuma et al., issued December 28, 1976; U.S. Patent 4,847,071, Bissett, Bush, and Chatterjee, issued July 11, 1989; and European Patent Application 166,221, Tuominen, published January 2, 1986. Hart, Cosmetics and Toiletries, 93(12), 28-30 (1978), discloses the utilization of low levels of chelating agents such as ethylenediaminetetraacetic acid (EDTA) in cosmetic formulations as preservatives. Particularly disclosed is the use of EDTA in sunscreen lotions and creams to prevent dark color formation from the reaction of p-aminobenzoic acid derivatives with iron. See also, Hart, Cosmetics and Toiletries, 98(4), 54-58 (1983). Japanese Patent Application 61-215,314 discloses a topical composition for protecting skin from UV-rays containing EDTA or a phosphoric acid or salt, 4-(1,1-dimethylethyl)-4'-methoxydibenzoylmethane and inorganic powders. The acids and their salts are added as preservatives. See also Japanese Patent Application 61-215,313, published September 25, 1986, and U.S. Patent 4,579,844, Rovee, issued April 1, 1986. Wooley, et al., Biochem. 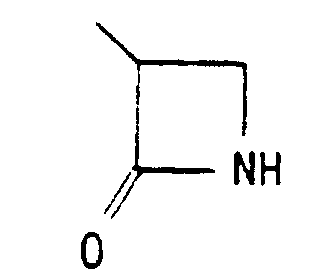 J., 169, 265-276 (1978), discloses the inhibition of skin collagenase utilizing EDTA, 1,10-phenanthroline, cysteine, dithiothreitol, or sodium aurothiemaleate. Black, Photochem. Photobiol., 46(2), 213-221 (1987), speculates, based on circumstantial evidence, that free radicals may cause at least some UV-induced skin damage. The effect of systemically or intraperitoneally administered anti-oxidants on peroxide formation is discussed. Braughler, et al., J. Biol. Chem., 261(22), 10282-10289 (1986), discusses iron-initiated lipid peroxidation reactions in the context of brain synoptosomes. It is shown that the use of a chelator, EDTA, will prevent the reactions from starting. Nunez et al., J. Biol. Chem., 258(2), 1146-1151 (1983), discusses the cellular mechanism by which iron is released by reticulocytes. It was found that iron (II) chelators (e.g., phenanthroline, dipyridyl), but not iron (III) chelators, were useful in the study of this mechanism. deMello Filho, et al., Biochem. et Biophys. Acta, 847, 82-89 (1985), describes cell culture work which suggests that the inhibition of the iron-initiated peroxidation reaction by phenanthroline may prevent cellular damage caused by inflammation. Morgan, Biochem. Biophys. Acta, 733(1), 39-50 (1983), discusses the mechanism by which certain iron chelators inhibit cellular iron uptake after release from transferrin while it is still in the membrane fraction of the cells. European Patent Application 0 313 305, Bissett, Bush, and Chatterjee, published April 26, 1989, discloses photoprotection compositions comprising various chelating agents, including 2-furildioxime. Reference is also made to CA 69:48962, CA69:18511 and CA83:193063. It is an object of the present invention to provide a pharmaceutical composition, the use of which will regulate biochemical damage resulting from free radical reactions in living persons. It is also an object of the present invention to provide a method for regulating biochemical damage resulting from free radical reactions in living persons. It is also an object of the present invention to provide a topical composition in a stable form, the use of which will prevent chronic (photoaging) effects of exposure to the sun. It is also an object of the present invention to provide a topical composition for preventing the deleterious effects of the sun with minimal interference to the tanning response. It is also an object of the present invention to provide a cleansing composition for preventing the deleterious effects of the sun with minimal interference to the tanning response. It is also an object of the present invention to provide a method for preventing the deleterious effects of the sun with minimal interference to the tanning response. It is further an object of the present invention to provide a photoprotection composition which penetrates into the skin and which has low susceptiblility to rub-off, wear-off or wash-off. It is a still further object of the present invention to provide a photoprotection composition which can be applied to the skin in advance of UV exposure without significant loss of efficacy. The present invention relates to a pharmaceutical composition according to claim 1. The present invention also relates to a composition useful for topical application comprising a safe and photoprotectively effective amount of a chelating agent having structure (I) in combination with a topical carrier. The present invention further relates to methods of regulating the deleterious effects of free radical reactions in living tissue including the deleterious effects of ultraviolet exposure to the skin. As used herein, "alkyl" means carbon-containing chains which may be straight, branched, or cyclic; substituted or unsubstituted; and which may be saturated, monounsaturated (i.e., one double or triple bond in the chain), or polyunsaturated (i.e., two or more double bonds in the chain; two or more triple bonds in the chain; one or more double and one or more triple bonds in the chain). Unless otherwise indicated, alkyl are preferably as follows. Preferred alkyl are straight or branched chain, more preferably straight chain. Preferred alkyl are unsubstituted. Preferred alkyl are saturated or monounsaturated, more preferably saturated. As used herein, "alkanyl" means a saturated alkyl group. Preferred alkyl are C1-C20, more preferably C1-C18, more preferably still C1-C12, more preferably C1-C6, more preferably C1-C2, most preferably C1. As used herein, "lower alkyl" means C1-C6 alkyl. As used herein, "aryl" and "heteroaryl" mean aryl or heteroaryl rings which may be mono-, di-, or tri-substituted or unsubstituted, preferably mono-substituted or unsubstituted, most preferably unsubstituted. Preferred heteroaryl rings comprise at least one oxygen, nitrogen, or sulfur atom in the ring structure. Preferred aryls and heteroaryls include furyl, thienyl, phenyl, hydroxyphenyl, or pyrrolyl. As used herein, "substituted" in reference to alkyl or aryl groups, means alkyl or aryl groups that can be mono- or polysubstituted. Preferred is mono-, di- or trisubstituted; more preferred is monosubstituted. Preferred substituents are selected from the group consisting of halogen, hydroxy, amino, nitro, thiol, aryl, alkyl and -OR wherein -R is aryl or alkyl. As used herein, "biochemical damage" means damage (resulting in a possible impact on such cell activities as membrane function, metabolism, and gene expression) to compounds of any biochemical class, including, but not limited to, nucleic acids, proteins and free amino acids, lipids and lipoproteins, carbohydrates, and connective tissue macromolecules. As used herein, "cellular damage" means damage to cell activities including, but not limited to, membrane function, metabolism, and gene expression. As used herein, "chelation" means the removal of a metal ion from a system by forming a complex so that the metal ion cannot readily participate in or catalyze chemical reactions. As used herein, "safe and effective amount" means an amount of compound or composition sufficient to significantly induce a positive modification in the condition to be treated, but low enough to avoid serious side effects (at a reasonable benefit/risk ratio), within the scope of sound medical judgment. The safe and effective amount of the compound or composition will vary with the particular condition being treated, the age and physical condition of the patient being treated, the severity of the condition, the duration of the treatment, the nature of concurrent therapy, the specific compound or composition employed, the particular pharmaceutically-acceptable carrier utilized, and like factors within the knowledge and expertise of the attending physician. As used herein when referring to composition ingredients, "compatible" means that the particular ingredient in question is capable of being commingled with the chelating agent and other ingredients in a manner such that there is no interaction which would substantially reduce the efficacy of the composition of the present invention. As used herein, "free radical" means an atom or group of atoms with an unpaired electron. As used herein, "free radical reaction" means the reaction of a free radical with another substance. As used herein, "parenteral administration" means introduction of a composition by injection, such as intraperitoneal, intravenous, subcutaneous, intramuscular, or intramedullary. As used herein, "regulating" means preventing, retarding, or arresting. As used herein, "safe and photoprotectively effective amount" means an amount of agent or composition sufficient to substantially reduce the deleterious effects of UV-radiation to skin but not so much as to cause serious side effects or adverse skin reactions. As used herein, all percentages are by weight unless otherwise specified. Although the present invention is not limited to any particular mechanism, it is believed that the present invention works wholly or partly by operation of the following mechanism. Certain metal chelators are able to "tie-up" free iron or facilitate its removal from a target tissue, thus impairing its catalytic activity, thus protecting the skin from aging effects caused by UV exposure. By "tying-up" free iron, the solubility of the iron is changed and therefore may be removed from that tissue and subsequently excreted or removed to a tissue where damage is less likely. In addition, by impairing the catalytic activity of metal ions in the human body, the compositions of the present invention prevent, arrest, or retard diseases and disorders in living beings in which free radicals, particularly oxygen radicals, have been implicated as a pathogen. For example, various insults to a person's body (e.g., injury, disease, or U.V. irradiation) lead to small amounts of free radical formation. These small amounts of free radicals may be amplified catalytically by transition metals in the body, such as iron. The resulting free radicals may be more reactive, toxic and deleterious to biological tissue. In addition, the increased concentration of free radicals may also result in more deleterious effects to biological tissue. For further examples of free radical reactions, see Cross, C. E., B. Halliwell, E. T. Borish, W. A. Pryor, B. N. Ames, R. L. Saul, J. M. McCord, and D. Harmon, "Oxygen Radicals and Human Disease", Annals of Internal Medicine, 107, 526 (1987). wherein -R1 and -R2 are independently selected from unsubstituted and C1-C6 alkyl- or C1-C6 alkoxy-substituted furyl; -M is selected from the group consisting of =O, =S, -SR4 and -OR4 (when -M is -OR4 or -SR4, there is a hydrogen bonded to the carbon to which -M is bonded) and -R4 is selected from the group consisting of hydrogen, alkyl, aryl and heteroaryl; -R3 is selected from the group consisting of hydrogen, alkyl, aryl and heteroaryl; -R1 and R2 are preferably selected from substituted and unsubstituted, preferably unsubstituted, 2-furyl, 3-furyl; more preferably 2-furyl. Also preferred are these furyl moities substituted with lower alkyl or lower alkoxy, especially methyl or methoxy; preferred examples include 5-methylfuryl, and 3,5-dimethylfuryl. When -R4 is aryl, it is preferably a substituted or unsubstituted, preferably unsubstituted phenyl. When -R4 is alkyl, it is preferably selected from substituted and unsubstituted, preferably unsubstituted, C1-C18, more preferably C1-C6, more preferably C1-C2, more preferably C1. -R4 is more preferably hydrogen. When -R3 is aryl, it is preferably a substituted or unsubstituted, preferably unsubstituted, phenyl. When -R3 is alkyl, it is preferably selected from substituted and unsubstituted, preferably unsubstituted, C1-C18 alkyl, more preferably C1-C12, more preferably C1-C6, more preferably C1-C2, more preferably C1. -R3 is more preferably hydrogen. Preferred compounds for use in the present invention include syn- and anti-forms or mixtures thereof. Approximately equal amounts of the syn- and anti- forms of the same compound are preferred mixtures. For compounds useful in the present invention named herein, the lack of a designation of syn- or anti- is nonspecific and means either form alone or a mixture of the two. Scope: This method describes an assay procedure for the determination of the enzyme ornithine decarboxylase (ODC) in mouse skin epidermis. The assay is linear up to at least 40 minutes of incubation of enzyme with substrate, with a deviation between replicates of less than 10%. The method is based on published procedures for determination of mouse epidermal ODC. (See Lowe, N., A.K. Verma, and R.K. Boutwell, Journal of Investigational Dermatology, Vol. 71 (1978), pp. 417-418; Verma, A.K. N.J. Lowe & R.K. Boutwell, Cancer Research, Vol. 39 (1979), pp. 1035-1040; Binder, R.L., M.E. Volpenheim & A.A. Motz, Carcinogenesis, Vol. 10 (1989), pp. 2351-2357; and Hillebrand, G.G., M.S. Winslow, M.J. Benzinger, D.A. Heitmeyer & D.L. Bissett, "Acute and Chronic Ultraviolet Radiation Induction of Epidermal Ornithine Decarboxylase Activity in Hairless Mice", Cancer Research, Vol. 50 (1990), pp. 1580-1584. Principle: A homogenate of mouse epidermal tissue is incubated with carbon 14-labeled L-ornithine, the substrate for the enzyme. The enzyme catalyzes the release from ornithine of 14CO2, which is trapped with benzethonium hydroxide. The 14C is then counted versus substrate to determine amount of liberated CO2. The amount of liberated CO2 is used to determine the level of enzyme present in the tissue. Previous work (see Hillebrand) has indicated the conditions under which this assay can be done to obtain a linear correspondence between time of enzyme-substrate incubation and release of 14CO2. See note at end of method. 1. Homogenization buffer: Homogenization buffer = 50 mM sodium phosphate, 1.25 mM EDTA, 2.5 mM DTT and 0.1 mM PLP [pH 7.1]. (a) Dissolve 3.45 g of NaH2PO4·7H2O and 0.23 g EDTA in 400 ml of distilled-deionized water; bring volume to 500 ml: 50 mM monobasic sodium phosphate + 1.25 mM EDTA. (b) Dissolve 6.7 g of Na2HPO4·H2O and 0.23 g of EDTA in 400 ml of distilled-deionized water; bring volume to 500 ml: 50 mM dibasic sodium phosphate + 1.25 mM EDTA. Combine 250 ml of (a) with 500 ml of (b) to yield 750 ml of pH 7.1 phosphate-EDTA buffer. Add 0.289 g of DTT to 750 ml of phosphate-EDTA buffer and then 0.0185 g of PLP to 750 ml of phosphate-EDTA-DTT buffer to prepare final homogenization buffer. This is prepared in advance and kept frozen at -20°C in 50-ml aliquats in 50 ml polypropylene centrifuge tubes until needed. Then it is thawed, and kept on ice. 2. Substrate solution: Substrate solution = 1.6 mM L-ornithine, 0.65 mM PLP, 20 micro Ci/ml L-[14C]-ornithine. Dissolve 34 mg of L-ornithine in 100 ml of water. To this is added 20 mg of PLP. This is frozen in 1-ml aliquats until used. Mix 1 ml of the ornithine-PLP mixture with 0.25 ml (25 micro Ci) of L-[1-14C]-ornithine hydrochloride (52 mCi/mmole; Dupont NEN Products, Boston, MA). This substrate solution is de-gassed (to remove any 14CO2) by pulling a partial vacuum (aspirator) on the solution three times, each of 30 seconds duration. This solution is then kept at room temperature until used. 3. Citric acid solution: Dissolve 384 g of citric acid in 600 ml of water; bring the volume up to 1000 ml: 2M citric acid (pH 1.5). This is prepared in advance and kept frozen at -20°C in 50-ml aliquats in 50 ml polypropylene centrifuge tubes until needed. Then it is thawed, and kept at room temperature. 4. Dye Reagent: Dilute 1 volume of Dye Reagent Concentrate with 4 volumes of distilled-deionized water. Filter through Whatman No. 1 filter paper and store dilute reagent in a glass container at room temperature. Prepare just before use. 5. Protein standard: The Bio-Rad Protein Standard supplied in the kit is lyophilized bovine protein sealed under nitrogen. To reconstitute, add 20 ml of distilled-deionized water which will yield a protein concentration of 1.4 mg/ml. This protein solution is stored at -20°C until needed. Then it is thawed, and kept at room temperature. Mouse Treatment and Irradiation. A chelator to be screened is dissolved in a liquid vehicle; preferred vehicles are ethanol, isopropanol, water, propylene glycol, or mixtures thereof. The test material solution is 5% (w/v) chelator (or saturated with chelator if the chelator is not soluble at 5% in any reasonable vehicle). Test material solutions are applied topically to the dorsal skin of the mouse. A control group of mice receives topical application of the same vehicle as is in the test material solution (without the chelating agent). Test material solution or control vehicle is applied to the skin of each mouse at an application rate of approximately 2 µl/cm2. Topical treatments are done three times: AM and PM of Day 1 and AM of Day 2. Two hours after the third treatment, the dorsal skin of the mice is exposed to 2X MED (minimum erythemal dose) with a 1000-watt Xenon arc solar simulator. The total UV dose is approximately 1.6 J/cm2. Twenty-four hours after irradiation, mice are sacrificed by cervical dislocation, and the dorsal skin is removed. 1. Whole dorsal skin from a mouse is placed dermis side down on an ice cold glass plate. The epidermal side of the skin is scraped with a razor blade 20 times to remove the epidermis, which adheres to the razor blade. 2. Epidermal shave scrapings are transferred to individual 12 X 75 mm clear polystyrene tubes containing 0.6 ml of ice cold homogenization buffer. 3. Using a Tissuemizer homogenizer, the tissue is homogenized on ice for 20 seconds at a homogenizer power control setting of 80 (0-100 scale). 4. The homogenate is transferred to a 1.5 ml polypropylene micro test tube and centrifuged at 16,000 x g for 10 minutes at 4°C in an Eppendorf centrifuge. 5. The clear supernatant solution is transferred with a Pasteur pipette to a 1.2 cc cryogenic vial. 6. Add 0.1 ml of supernatant solution to a 15 x 85 mm glass test tube and place in a 37°C shaking water bath for 5 minutes. Duplicate assays are run for each sample. Six blank assays containing 0.1 ml of homogenization buffer are also run. 7. The assay is started by addition of 0.025 ml of de-gassed substrate solution. This gives a final concentration of assay components of 40 mM sodium phosphate, 1 mM EDTA, 2 mM DTT, 0.2 mM PLP, 0.4 mM ornithine, and 0.5 micro Ci of 14C-ornithine. The assay tube is immediately sealed with a rubber stopper and center well assembly, the center well containing 0.1 ml of methylbenzethonium hydroxide. The reaction is run at 37°C in a shaker water bath at 50 rpm for 30 minutes. 8. Using a disposable 1 ml plastic syringe fitted with a 22 gauge 1.5-inch needle, the assay is stopped by piercing the rubber stopper and injecting 0.25 ml of 2M citric acid solution into the assay solution. Particular care is taken not to inject citric acid into the center well assembly. 9. The assay mixture is kept at room temperature for 30 minutes after citric acid injection to ensure complete absorption of 14CO2 by methylbenzethonium hydroxide contained in the center well. 10. The center well bucket is transferred, by cutting with scissors the center well stem, to scintillation vials containing 10 ml of scintillation fluid and shaken thoroughly. Standards are prepared by adding 0.025 ml of substrate solution to 10 ml of scintillation fluid; this amount of 14C represents total conversion of substrate to CO2 in the assay. 11. Content of 14C is determined with a scintillation counter. 12. Determine protein content of homogenate by the Bio-Rad Protein Assay. Place 0.02 ml of homogenate and 0.08 ml of water in a test tube (16 X 150 mm). As blanks, 0.02 ml of homogenization buffer is used. All assays are done in duplicate. Add 5 ml of diluted dye reagent. Mix on a vortex mixer. After 5 minutes to 1 hour, measure OD595 versus blanks. Protein content of samples is read from a plot of OD595 versus concentration of protein standards (20-140 micrograms). The Ornithine Decarboxylase (ODC) value (pmole/hr mg) for the chelator being screened is compared to the ODC value (pmole/hr mg) for the control to give a percent difference between the two values. Preferred compounds useful in the present invention demonstrate at least a 20% decrease in the ODC value as compared to the ODC value of the control. NOTE: The chemicals and equipment specified in these sections are described in detail as to properties, dimensions, and suggested suppliers for the convenience of those doing the assay. Unless otherwise indicated, alternate sources of equivalent chemicals and equipment may be used, providing that they meet the requirements necessary to preserve the accuracy and precision of the assay method. A second test useful for screening chelators for photoprotective capability is the in vivo mouse skin wrinkling test which measures premature wrinkling inhibition, described in D. L. Bissett, D. P. Hannon & T. V. Orr, "An Animal Model of Solar-Aged Skin: Histological, Physical, and Visible Changes in UV-Irradiated Hairless Mouse Skin", Photochem. Photobiol., Vol. 46 (1987), 367-378; and D. L. Bissett, G.G. Hillebrand and D.P. Hannon, "The Hairless Mouse as a Model of Skin Photoaging: Its Use to Evaluate Photoprotective Materials", Photodermatology, Vol. 6 (1989), pp. 228-233. The test is used to determine the photoprotective efficacy of topically applied materials against UVB-induced photo-aging. The work is done with Skh:HR-1 hairless mice. A chelator to be screened is dissolved in a liquid vehicle; preferred vehicles are ethanol, isopropanol, water, propylene glycol, or mixtures thereof. The test material solution is 5% (w/v) chelator (or saturated with chelator if the chelator is not soluble at 5% in any reasonable vehicle). Test material solutions are applied topically to the dorsal skin of the mouse. A control group of mice receives topical application of the same vehicle as is in the test material solution (without the chelating agent). Test material solution or control vehicle is applied to the skin of each mouse at an application rate of approximately 2 µl/cm2. Topical treatments are done three times each week. A bank of four 4-foot fluorescent UVB lamps (Westinghouse FS-40 sunlamps) is used. The energy output of the lamps is measured with an International Light (Newburyport, MA) model 700 A research radiometer. Mice are irradiated with 30 mJ/cm2 of UVB per exposure. Irradiations are done two hours after each topical application of the test material solution or vehicle. Once each week, mice are observed for skin wrinkling and tumor formation (see Bissett, et al., Photochem. Photobiol., Vol. 46 (1987), pp. 367-378, and Bissett, et al., Photodermatology, Vol. 6 (1989), pp. 228-233). Wrinkles are graded on a 0-3 scale, and tumors are counted as described in these references. The test is continued until the skin wrinkle grade of the control group is at least about 2.0 and the tumors are recounted at this point; generally the test requires about 20 weeks to complete. Chelating agents which exhibit at least about a 20% reduction in skin wrinkle grade in Test Method II are useful in the present invention. Preferred chelating agents exhibit at least about a 30% reduction in skin wrinkle grade; more preferred chelating agents exhibit at least about a 60% reduction in skin wrinkle grade; most preferred chelating agents exhibit at least about a 90% reduction in skin wrinkle grade. A composition of the present invention may be tested using Test Method II to determine its effective dosage levels and appropriate formulations and methods of application. For example, if a chelator shown to be effective using Test Method I is shown in Test Method II to be a relatively ineffective photoprotective agent due to its inablility to penetrate the skin, it may be formulated with a skin penetration enhancer to enhance its efficacy. A safe and effective amount of a chelating agent is used in the compositions of the present invention. Typically, this is from about 0.1% to about 10%, preferably from about 0.5% to about 5% of the composition. It is important to note that, when used for purposes of photoprotection, the chelating agent does not need to block or absorb UV radiation to be a photoprotecting agent. A sunscreen works on the surface of the skin to absorb UV radiation so that the number of harmful rays entering the skin is substantially reduced. The chelating agent works in the skin to prevent damaging reactions in the skin. Therefore, chelators which penetrate skin more readily are preferred. Because the chelating agent penetrates the skin to work, rub-off, wear-off or wash-off of the active, which lessen efficacy for sunscreens considerably, are essentially irrelevant with the present invention. Furthermore, though critical with a sunscreen, it is not necessary to keep an even coating of the active of the present invention on the skin for the entire exposure period. The chelating agent can be applied to the skin up to four hours or longer prior to UV exposure. Chelators having good stability in the skin are preferred. The chelating agent protects against both acute effects of UV exposure, e.g., sunburn, and chronic effects of UV exposure, e.g., premature aging of the skin. In addition to the chelating agent as described hereinbefore, the pharmaceutical compositions of the present invention essentially comprise a pharmaceutically-acceptable carrier. The term "pharmaceutically-acceptable carrier", as used herein, means one or more compatible solid or liquid filler diluents or encapsulating substances which are suitable for administration to a human or lower animal. Pharmaceutically-acceptable carriers must, of course, be of sufficiently high purity and sufficiently low toxicity to render them suitable for administration to the human or lower animal being treated. A safe and effective amount of carrier generally is from about 80% to about 99%, preferably from about 90% to about 98%, of the composition. Variations in formulation of these carriers will result in a wide variety of products which fall within the scope of the present invention. The topical pharmaceutical/cosmetic compositions of the present invention may be made into a wide variety of product types. These include, for example, lotions, creams, beach oils, gels, sticks, sprays, ointments, pastes, mousses and cosmetics. These product types may comprise either of two basic types of carrier systems, solutions and emulsions. The topical pharmaceutical/cosmetic compositions of the present invention formulated as solutions typically include a pharmaceutically- or cosmetically-acceptable aqueous solvent or an organic solvent. The terms "pharmaceutically-acceptable aqueous solvent", "cosmetically-acceptable aqueous solvent", "pharmaceutically-acceptable organic solvent" and "cosmetically-acceptable organic solvent" refer to an organic solvent which, in addition to being capable of having dispersed or dissolved therein the chelating agent, also possesses acceptable safety (e.g., irritation and sensitization characteristics), as well as good aesthetic properties (e.g., does not feel greasy or tacky). Water is a typical aqueous solvent. Examples of suitable organic solvents include: propylene glycol, polyethylene glycol (200-600), polypropylene glycol (425-2025), glycerol, 1,2,4-butanetriol, sorbitol esters, 1,2,6-hexanetriol, ethanol, isopropanol, butanediol, and mixtures thereof. These solutions contain from about 0.1% to about 20%, preferably from about 0.5% to about 10%, of the chelating agent, and from about 80% to about 99.5%, preferably from about 90% to about 98%, of an acceptable organic solvent. If the topical pharmaceutical/cosmetic compositions of the present invention are formulated as an aerosol and applied to the skin as a spray-on, a propellant is added to a solution composition. Examples of propellants useful herein include, but are not limited to, the chlorinated, fluorinated and chloro-fluorinated lower molecular weight hydrocarbons. A more complete disclosure of propellants useful herein can be found in Sagarin, Cosmetics. Science and Technology, 2nd Edition, Vol. 2, pp. 443-465 (1972). Topical pharmaceutical/cosmetic compositions of the present invention may be formulated as a solution comprising an emollient. An example of a composition formulated in this way would be a beach oil product. Such compositions contain from about 0.1% to about 20% of the chelating agent and from about 0.5% to about 10% of a topical pharmaceutically/cosmetically-acceptable emollient. As used herein, "emollients" refer to materials used for the prevention or relief of dryness, as well as for the protection of the skin. A wide variety of suitable emollients are known and may be used herein. Sagarin, Cosmetics, Science and Technology, 2nd Edition, Vol. 1, pp. 32-43 (1972), incorporated herein by reference, contains numerous examples of suitable materials. A lotion can be made from a solution carrier system. Lotions typically comprise from about 0.01% to about 20%, preferably from about 0.1% to about 10%, of the chelating agent; from about 0.5% to about 5%, preferably from about 5% to about 10%, of an emollient; and from about 50% to about 90%, preferably from about 60% to about 80%, water. Another type of product that may be formulated from a solution carrier system is a cream. A cream of the present invention would comprise from about 0.01% to about 20%, preferably from about 0.1% to about 10%, of the chelating agent; from about 0.5% to about 5%, preferably from about 10% to about 20%, of an emollient, and from about 45% to about 85%, preferably from about 50% to about 75%, water. Yet another type of product that may be formulated from a solution carrier system is an ointment. An ointment may comprise a simple base of animal or vegetable oils or semi-solid hydrocarbons (oleaginous). Ointments may also comprise absorption ointment bases which absorb water to form emulsions. Ointment carriers may also be water soluble. An ointment may also comprise from about 2% to about 10% of an emollient plus from about 0.1% to about 2% of a thickening agent. A more complete disclosure of thickening agents useful herein can be found in Segarin, Cosmetics, Science and Technology, 2nd Edition, Vol. 1, pp. 72-73 (1972). If the carrier is formulated as an emulsion, from about 1% to about 10%, preferably from about 2% to about 5%, of the carrier system comprises an emulsifier. Emulsifiers may be nonionic, anionic or cationic. Suitable emulsifiers are disclosed in, for example, U.S. Patent 3,755,560, issued August 28, 1973, Dickert et al,; U.S. Patent 4,421,769, issued December 20, 1983, Dixon et al. ; and McCutcheon's Detergents and Emulsifiers, North American Edition, pages 317-324 (1986); the disclosures of which are incorporated herein by reference. Preferred emulsifiers are anionic or nonionic, although the other types may also be used. Single emulsion skin care preparations, such as lotions and creams, of the oil-in-water type and water-in-oil type are well-known in the cosmetic art and are useful in the present invention. Multiphase emulsion compositions, such as the water-in-oil-in-water type, as disclosed in U.S. Patent No. 4,254,105, Fakuda et al., issued March 3, 1981, herein incorporated by reference, are also useful in the present invention. In general, such single or multiphase emulsions contain water, emollients and emulsifiers as essential ingredients. Triple emulsion carrier systems comprising an oil-in-water-in-silicone fluid emulsion composition as disclosed in U.S. Patent Application Serial No. 022,876, Figueroa, et al., filed March 6, 1987, herein incorporated by reference, are also useful in the present invention. This triple emulsion carrier system can be combined with from about 1% to about 20%, preferably from about 2% to about 10%, of the chelating agent to yield the topical pharmaceutical/cosmetic composition of the present invention. Another emulsion carrier system useful in the topical pharmaceutical/cosmetic compositions of the present invention is a micro-emulsion carrier system. Such a system comprises from about 9% to about 15% squalane; from about 25% to about 40% silicone oil; from about 8% to about 20% of a fatty alcohol; from about 15% to about 30% of polyoxyethylene sorbitan mono-fatty acid (commercially available under the trade name Tweens) or other nonionics; and from about 7% to about 20% water. This carrier system is combined with from about 0.1% to about 10% of the chelating agent. Lotions and creams can be formulated as emulsions as well as solutions. Typically such lotions comprise from about 0.1% to about 20%, preferably from about 0.5% to about 10%, of the chelating agent; from about 1% to about 20%, preferably from about 5% to about 10%, of an emollient; from about 25% to about 75%, preferably from about 45% to about 95%, water; and from about 1% to about 10%, preferably from about 2% to about 5%, of an emulsifier. Such creams would typically comprise from about 0.01% to about 20%, preferably from about 0.1% to about 10%, more preferably from about 0.5% to about 5% of the chelating agent; from about 1% to about 20%, preferably from about 5% to about 10%, of an emollient; from about 20% to about 80%, preferably from about 30% to about 70%, water; and from about 1% to about 10%, preferably from about 2% to about 5%, of an emulsifier. If the topical pharmaceutical/cosmetic compositions of the present invention are formulated as a gel or a cosmetic stick, a suitable amount of a thickening agent, as disclosed supra, is added to a cream or lotion formulation. The topical pharmaceutical/cosmetic compositions of the present invention may also be formulated as makeup products such as foundations, or lipsticks. The topical pharmaceutical/cosmetic compositions of the present invention may contain, in addition to the aforementioned components, a wide variety of additional oil-soluble materials and/or water-soluble materials conventionally used in topical compositions, at their art-established levels. Various water-soluble materials may also be present in the compositions of this invention. These include humectants, proteins and polypeptides, preservatives and an alkaline agent. In addition, the topical compositions herein can contain conventional cosmetic adjuvants, such as dyes, opacifiers (e.g., titanium dioxide), pigments and perfumes. The topical pharmaceutical/cosmetic compositions of the present invention may also include a safe and effective amount of a penetration enhancing agent. A safe and effective amount is generally from about 1% to about 5% of the composition. Examples of useful penetration enhancers, among others, are disclosed in U.S. Patents 4,537,776, Cooper, issued August 27, 1985; 4,552,872, Cooper et al., issued November 12, 1985; 4,557,934, Cooper, issued December 10, 1985; 4,130,667, Smith, issued December 19, 1978; 3,989,816, Rhaadhyaksha, issued November 2, 1976; 4,017,641, DiGiulio, issued April 12, 1977; and European Patent Application 0043738, Cooper et al., published January 13, 1982. Other conventional skin care product additives may also be included in the compositions of the present invention. For example, collagen, hyaluronic acid, elastin, hydrolysates, primrose oil, jojoba oil, epidermal growth factor, soybean saponins, mucopolysaccharides, and mixtures thereof may be used. Various vitamins may also be included in the compositions of the present invention. For example, Vitamin A, and derivatives thereof, Vitamin B2, biotin, pantothenic, Vitamin D, and mixtures thereof may be used. Various oral dosage forms can be used, including such solid forms as tablets, capsules, granules, bulk powders and microcapsules of the drug. These oral forms comprise a safe and effective amount, usually at least about 5%, and preferably from about 25% to about 50% of the compound of the present invention. Tablets can be compressed, enteric-coated, sugar-coated or film-coated containing suitable binders, lubricants, surfactants, diluents, disintegrating agents, coloring agents, flavoring agents, preservatives, flow-inducing agents, and melting agents. Liquid oral dosage forms include aqueous and nonaqueous solutions, emulsions, suspensions, solutions and/or suspensions reconstituted from non-effervescent granules, containing suitable solvents, preservatives, emulsifying agents, suspending agents, diluents, sweeteners, melting agents, coloring agents, and flavoring agents. Preferred carriers for oral administration include gelatin and propylene glycol. Specific examples of pharmaceutically-acceptable carriers and excipients that may be used in formulating oral dosage forms containing compounds of the present invention are described in U.S. Patent 3,903,297, Robert, issued September 2, 1975, incorporated by reference herein. Techniques and compositions for making solid oral dosage forms are described in Marshall, "Solid Oral Dosage Forms," Modern Pharmaceutics, Vol. 7, (Banker and Rhodes, editors), 359-427 (1979). Techniques and compositions for making tablets (compressed, formulas and molded), capsules (hard and soft gelatin) and pills are described in Remington's Pharmaceutical Sciences (Arthur Osol, editor), 1553-1593 (1980). The preferred unit dosage forms for oral administration are tablets, capsules and the like, comprising a safe and effective amount of a compound of the present invention. Preferably oral dose forms comprise from about 1000 mg to about 0.1 mg of a chelating agent of the present invention, more preferably from about 500 mg to about 0.5 mg, and most preferably from about 200 mg to about 10 mg. The compounds of the present invention are also useful when injected. The dosage of the compound of the present invention which is both safe and effective to provide free radical reaction regulating activity will vary with the particular condition being treated, the severity of the condition, the duration of treatment, the specific compound employed and its usage concentration, and like factors within the specific knowledge and expertise of the attending physician and commensurate with a reasonable benefit/risk ratio associated with the use of any drug compound. The injectable dosages and dosage ranges given herein are based on delivery of the compound of the present invention to a 70 kg human and can be adjusted to provide equivalent dosages for patients of different body weights. Methods and materials for manufacturing injectables can be found in Remington's Pharmaceutical Sciences, 17ed., 1985, Chapter 85, p. 1518. Materials for use in injectables are also described more fully hereinafter. Generally, three types of injectable dosage forms are preferred: 1) aqueous solutions; 2) non-aqueous solutions; and 3) emulsions. The above dosage forms typically contain from about 0.001 mg/ml to about 10 mg/ml of a compound of the present invention, preferably from about 0.1 mg/ml to about 1 mg/ml, more preferably from about 0.4 mg/ml to about 0.6 mg/ml. Injectable dose forms for regulating free radical reactions in the human body typically comprise from about 1000 mg to about 0.1 mg, and preferably from about 500 mg to about 0.5 mg, of the chelating agent of the present invention. The skin cleaning compositions of the present invention comprise, in addition to the chelating agent, a cosmetically-acceptable surfactant. The term "cosmetically-acceptable surfactant" refers to a surfactant which is not only an effective skin cleanser, but also can be used without undue toxicity, irritation, allergic response, and the like. Furthermore, the surfactant must be capable of being commingled with the chelating agent in a manner such that there is no interaction which would substantially reduce the efficacy of the composition for protecting the skin from the effects of UV radiation. The skin cleaning compositions of the present invention contain from about 0.01% to about 25%, preferably from about 0.1% to about 10%, of the chelating agent and from about 1% to about 90%, preferably from about 50% to about 85%, of a cosmetically-acceptable surfactant. The physical form of the skin cleansing compositions is not critical. The compositions can be, for example, formulated as toilet bars, liquids, pastes, or mousses. Toilet bars are most preferred since this is the form of cleansing agent most commonly used to wash the skin. The surfactant component of the compositions of the present invention are selected from anionic, nonionic, zwitterionic, amphoteric and ampholytic surfactants, as well as mixtures of these surfactants. Such surfactants are well-known to those skilled in the detergency art. The cleaning compositions of the present invention can optionally contain, at their art-established levels, materials which are conventionally used in skin cleansing compositions. Optimum protection against sun damage can be obtained by using a combination of the non-sunscreening photoprotection agent of the present invention together with sunscreens or sunblocks. Useful sunblocks include, for example, zinc oxide and titanium dioxide. The photoprotecting capability of the chelating agent is primarily against UVB radiation. Thus, the combination of the chelating agent with a UVA sunscreen would be most desirable. Additional UVB protection may also be included in such compositions. The inclusion of sunscreens in compositions of the present invention at low levels will not significantly reduce the tanning response of the user but will enhance immediate protection against acute UV damage. A wide variety of conventional sunscreening agents are suitable for use in combination with the chelating agent. Segarin, et al., at Chapter VIII, pages 189 et seq., of Cosmetics Science and Technology, disclose numerous suitable agents. Specific suitable sunscreening agents include, for example: p-Aminobenzoic acid, its salts and its derivatives (ethyl, isobutyl, glyceryl esters; p-dimethylaminobenzoic acid); Anthranilates (i.e., o-aminobenzoates; methyl, menthyl, phenyl, benzyl, phenylethyl, linalyl, terpinyl, and cyclohexenyl esters); Salicylates (amyl, phenyl, benzyl, menthyl, glyceryl, and dipropyleneglycol esters); Cinnamic acid derivatives (menthyl and benzyl esters, -phenyl cinnamonitrile; butyl cinnamoyl pyruvate); Dihydroxycinnamic acid derivatives (umbelliferone, methylumbelliferone, methylaceto-umbelliferone); Trihydroxycinnamic acid derivatives (esculetin, methylesculetin, daphnetin, and the glucosides, esculin and daphnin); Hydrocarbons (diphenylbutadiene, stilbene); Dibenzalacetone and benzalacetophenone; Naphtholsulfonates (sodium salts of 2-naphthol-3,6-disulfonic and of 2-naphthol-6,8-disulfonic acids); Dihydroxy-naphthoic acid and its salts; o- and p-Hydroxybiphenyldisulfonates; Coumarin derivatives (7-hydroxy, 7-methyl, 3-phenyl); Diazoles (2-acetyl-3-bromoindazole, phenyl benzoxazole, methyl naphthoxazole, various aryl benzothiazoles); Quinine salts (bisulfate, sulfate, chloride, oleate, and tannate); Quinoline derivatives (8-hydroxyquinoline salts, 2-phenylquinoline); Hydroxy- or methoxy-substituted benzophenones; Uric and vilouric acids; Tannic acid and its derivatives (e.g., hexaethylether); (Butyl carbityl) (6-propyl piperonyl) ether; Hydroquinone; Benzophenones (Oxybenzene, Sulisobenzone, Dioxybenzone, Benzoresorcinol, 2,2',4,4'-Tetrahydroxybenzophenone, 2,2'-Dihydroxy-4,4'-dimethoxybenzophenone, Octabenzone; 4-Isopropyldibenzoylmethane; Butylmethoxydibenzoylmethane; Etocrylene; and 4-isopropyl-di-benzoylmethane. Of these, 2-ethylhexyl p-methoxycinnamate, 4,4'-t-butyl methoxydibenzoylmethane, 2-hydroxy-4-methoxybenzophenone, octyldimethyl p-aminobenzoic acid, digalloyltrioleate, 2,2-dihydroxy-4-methoxybenzophenone, ethyl 4-[bis(hydroxypropyl)]aminobenzoate, 2-ethylhexyl-2-cyano-3,3-diphenylacrylate, 2-ethylhexylsalicylate, glyceryl p-aminobenzoate, 3,3,5-trimethylcyclohexylsalicylate, methylanthranilate, p-dimethyl-aminobenzoic acid or aminobenzoate, 2-ethylhexyl p-dimethylamino-benzoate, 2-phenylbenzimidazole-5-sulfonic acid 2-(p-dimethylaminophenyl)-5-sulfonicbenzoxazoic acid and mixtures of these compounds, are particularly useful. Preferred sunscreens useful in the compositions of the present invention are 2-ethylhexyl p-methoxycinnamate, butylmethoxydibenzoylmethane, 2-hydroxy-4-methoxybenzophenone, octyldimethyl p-aminobenzoic acid and mixtures thereof. A safe and photoprotectively effective amount of sunscreen may be used in the chelating agent compositions of the present invention. The sunscreening agent must be compatible with the chelating agent. Generally the composition may comprise from about 1% to about 20%, preferably from about 2% to about 10%, of a sunscreening agent. Exact amounts will vary depending upon the sunscreen chosen and the desired Sun Protection Factor (SPF). Because of the chelating agent's photoprotecting capability against erythema, the combination provides an SPF greater than that of the sunscreen alone. Also particularly useful in the present invention are sunscreens such as those disclosed in Sabatelli, U.S. Patent Application Serial No. 054,085 (filed June 2, 1987) and Sabatelli et al., U.S. Patent Application Serial No 054,046 (filed June 2, 1987). The sunscreening agents disclosed therein have, in a single molecule, two distinct chromophore moieties which exhibit different ultra-violet radiation absorption spectra. One of the chromophore moieties absorbs predominantly in the UVB radiation range and the other absorbs strongly in the UVA radiation range. Preferred members of this class of sunscreening agents are 4-N,N-(2-ethylhexyl)methylaminobenzoic acid ester of 2,4-dihydroxybenzophenone; N,N-di-(2-ethylhexyl)-4-aminobenzoic acid ester with 4-hydroxydibenzoylmethane; 4-N,N-(2-ethylhexyl) methylaminobenzoic acid ester with 4-hydroxydibenzoylmethane; 4-N,N-(2-ethylhexyl)methylaminobenzoic acid ester of 2-hydroxy-4-(2-hydroxyethoxy)benzophenone; 4-N,N-(2-ethylhexyl) methylaminobenzoic acid ester of 4-(2-hydroxyethoxy)dibenzoylmethane; N-N-di-(2-ethylhexyl)-4-aminobenzoic acid ester of 2-hydroxy-4-(2-hydroxyethoxy)benzophenone; and N,N-di-(2-ethylhexyl)-4-aminobenzoic acid ester of 4-(2-hydroxyethoxy)dibenzoylmethane and mixtures thereof. The compositions of the present invention, with or without sunscreens, may also be formulated as shampoos, conditioners, mousses or other hair care products. It is known that UV radiation damages hair and the photoprotecting agents of the present invention may minimize such damage. Furthermore such formulations will provide a means for applying the photoprotecting agents of the present invention onto the scalp, which is also susceptible to UV damage. Any compatible art-recognized hair care formulations can be used with the chelating agent added at a level of from about 0.1% to about 5%. If desired, a sunscreen may also be included at from about 1% to about 5%. An agent may also be added to any of the compositions of the present invention to improve the skin substantivity of those compositions, particularly to enhance their resistance to being washed off by water, or rubbed off. A preferred agent which will provide this benefit is a copolymer of ethylene and acrylic acid. Compositions comprising this copolymer are disclosed in U.S. Patent 4,663,157, Brock, issued May 5, 1987, which is incorporated herein by reference. In a preferred photoprotection composition of the present invention, an anti-inflammatory agent is included as an active along with the chelating agent. The inclusion of an anti-inflammatory agent enhances the photoprotection benefits of the compositions. The anti-inflammatory agent protects strongly in the UVA radiation range (though it also provides some UVB protection as well), while the chelating agent protects strongly in the UVB radiation range. Thus the combination provides broad protection. The topical use of anti-inflammatory agents reduces photo-aging of the skin resulting from chronic exposure to UV radiation. (See U.S. Patent 4,847,071, Bissett, Bush, and Chatterjee, issued July 11, 1989; and U.S. Patent 4,847,069, Bissett and Chatterjee, issued July 11, 1989.) It has also been discovered that the combination of an anti-inflammatory agent and the chelating agent provides greater photoprotection than is provided by each active alone. A safe and photoprotectively effective amount of an anti-inflammatory agent may be added to the compositions of the present invention, generally from about 0.1% to about 10%, preferably from about 0.5% to about 5%, of the composition. The exact amount of anti-inflammatory agent to be used in the compositions will depend on the particular anti-inflammatory agent utilized since such agents vary widely in potency. Steroidal anti-inflammatory agents, including but not limited to, corticosteroids such as hydrocortisone, hydroxyltriamcinolone, alpha-methyl dexamethasone, dexamethasone-phosphate, beclomethasone dipropionate, clobetasol valerate, desonide, desoxymethasone, desoxycorticosterone acetate, dexamethasone, dichlorisone, diflorasone diacetate, diflucortolone valerate, fluadrenolone, fluclorolone acetonide, fludrocortisone, flumethasone pivalate, fluosinolone acetonide, fluocinonide, flucortine butylester, fluocortolone, fluprednidene (fluprednylidene) acetate, flurandrenolone, halcinonide, hydrocortisone acetate, hydrocortisone butyrate, methylprednisolone, triamcinolone acetonide, cortisone, cortodoxone, flucetonide, fludrocortisone, difluorosone diacetate, fluradrenolone acetonide, medrysone, amcinafel, amcinafide, betamethasone and the balance of its esters, chloroprednisone, chlorprednisone acetate, clocortelone, clescinolone, dichlorisone, difluprednate, flucloronide, flunisolide, fluoromethalone, fluperolone, fluprednisolone, hydrocortisone valerate, hydrocortisone cyclopentylpropionate, hydrocortamate, meprednisone, paramethasone, prednisolone, prednisone, beclomethasone dipropionate, triamcinolone, and mixtures thereof may be used. The preferred steroidal anti-inflammatory for use in the present invention is hydrocortisone. A second class of anti-inflammatory agents which is useful in the compositions of the present invention includes the non-steroidal anti-inflammatory agents. The variety of compounds encompassed by this group are well-known to those skilled in the art. For detailed disclosure of the chemical structure, synthesis, side effects, etc., of non-steroidal anti-inflammatory agents, reference may be had to standard texts, including Anti-inflammatory and Anti-Rheumatic Drugs, K. D. Rainsford, Vol. I-III, CRC Press, Boca Raton, (1985), and Anti-inflammatory Agents, Chemistry and Pharmacology, 1, R. A. Scherrer, et al., Academic Press, New York (1974). 6) the pyrazoles, such as phenybutazone, oxyphenbutazone, feprazone, azapropazone, and trimethazone. Mixtures of these non-steroidal anti-inflammatory agents may also be employed, as well as the pharmaceutically-acceptable salts and esters of these agents. For example, etofenamate, a flufenamic acid derivative, is particularly useful for topical application. Of the nonsteroidal anti-inflammatory agents, ibuprofen, naproxen, flufenamic acid, mefenamic acid, meclofenamic acid, piroxicam and felbinac are preferred; ibuprofen, naproxen, and flufenamic acid are most preferred. Another class of anti-inflammatory agents which are useful in the present invention are the anti-inflammatory agents disclosed in U.S. Patent No. 4,708,966, Loomans et al., issued November 24, 1987. This patent discloses a class of nonsteroidal anti-inflammatory compounds which comprise specifically substituted phenyl compounds, especially substituted 2,6-di-tert-butyl phenol derivatives. For example, compounds selected from 4-(4'-pentyn-3'-one)-2,6-di-t-butylphenol; 4-(5'-hexynoyl)-2,6-di-t-butylphenol; 4-((S)-(-)-3'-methyl-5'-hexynoyl)-2,6-di-t-butylphenol; 4-((R)-(+)-3'-methyl-5'-hexynoyl)-2,6-di-t-butylphenol; and 4-(3',3'-dimethoxypropionyl)-2,6-di-t-butylphenol are useful in the present invention. Yet another class of anti-inflammatory agents which are useful in the present invention are those disclosed in U.S. Patent No. 4,912,248, Mueller, issued March 27, 1990. This patent discloses compounds and diastereomeric mixtures of specific 2-naphthyl- containing ester compounds, especially naproxen ester and naproxol ester compounds, having two or more chiral centers. For example, compounds selected from (S)-naproxen-(S)-2-butyl ester, (S)-naproxen-(R)-2-butylester, (S)-naproxol-(R)-2-methyl butyrate, (S)-naproxol-(S)-2-methyl butyrate, diasteromeric mixtures of (S)-naproxen-(S)-2-butyl ester and (S)-naproxen- (R)-2-butyl ester, and diasteromeric mixtures of (S)-naproxol- (R)-2-methyl butyrate and (S)-naproxol-(S)-2-methyl butyrate are useful in the present invention. Finally, so-called "natural" anti-inflammatory agents are useful in the present invention. For example, candelilla wax, alpha bisabolol, aloe vera, Manjistha (extracted from plants in the genus Rubia, particularly Rubia Cordifolia), and Guggal (extracted from plants in the genus Commiphora, particularly Commiphora Mukul), may be used. A more preferred composition of the present invention comprises a chelating agent, a sunscreen, and an anti-inflammatory agent together for photoprotection in the amounts disclosed for each individually hereinabove. In a preferred photoprotection composition of the present invention, an anti-oxidant/radical scavenger is included as an active along with the chelating agent. The inclusion of an anti-oxidant/radical scavenger increases the photoprotection benefits of the composition. A safe and photoprotectively effective amount of an anti-oxidant/radical scavenger may be added to the compositions of the present invention, generally from about 0.1% to about 10%, preferably from about 1% to about 5%, of the composition. Anti-oxidants/radical scavengers such as ascorbic acid (vitamin C) and its salts, tocopherol (vitamin E), tocopherol sorbate, other esters of tocopherol, butylated hydroxy benzoic acids and their salts, 6-hydroxy-2,5,7,8-tetramethylchroman-2-carboxylic acid (commercially available under the tradename Trolox®), gallic acid and its alkyl esters, especially propyl gallate, uric acid and its salts and alkyl esters, sorbic acid and its salts, the ascorbyl esters of fatty acids, amines (e.g., N,N-diethylhydroxylamine, amino-guanidine), sulfhydryl compounds (e.g., glutathione), and dihydroxy fumaric acid and its salts may be used. In a preferred photoprotection composition of the present invention, compositions comprise one, any two, or all three of a sunscreening agent, anti-inflammatory agent, and/or a radical scavenging agent included as actives along with the chelating agent. The inclusion of two or all three of these agents with the chelator increases the photoprotection benefits of the composition. In a preferred photoprotection composition of the present invention, a retinoid, preferably retinoic acid, is included as an active along with the chelating agent. The inclusion of a retinoid increases the wrinkle regulating benefits of the composition. A safe and effective amount of a retinoid may be added to the compositions of the present invention, preferably from about 0.001% to about 2%, more preferably from about 0.01% to about 1% of the composition. As used herein, "retinoid" includes all natural and/or synthetic analogs of Vitamin A or retinol-like compounds which possess the biological activity of Vitamin A in the skin as well as the geometric isomers and stereoisomers of these compounds, such as all-trans retinoic acid and 13-cis-retinoic acid. In a preferred photoprotection composition of the present invention, compositions comprise one, any two, any three, and/or all four of a sunscreening agent, anti-inflammatory agent, anti-oxidant/radical scavenging agent, and/or a retinoid included as actives along with the chelating agent. The compositions of the present invention can be used in a method for regulating biochemical or cellular damage resulting from free radical reactions in a living person. Such a method comprises administering, preferably topically, orally, or parenterally a safe and free radical regulating effective amount of the specifically defined chelating agents disclosed hereinabove to be useful in the present invention. The amount of chelating agent and frequency of application will vary widely depending upon the level of free radical reactions occurring in the subject and the level of regulation of these reactions desired. Typically, a safe and free radical regulating effective amount in a topical composition is from about 0.001 mg to about 1.0 mg, preferably from about 0.01 mg to about 0.5 mg, more preferably from about 0.05 mg to about 0.1 mg of the chelating agent per cm2 of skin. Application preferably ranges from about 1 to about 6 times daily, more preferably from about 2 to about 4 times daily. For particularly effective compositions once per day application is preferred. A safe and free radical regulating effective amount in an orally dosed composition is from about 0.1 mg to about 1000 mg, more preferably from about 5 mg to about 500 mg, of the chelating agent per dose. Dosing would range from about 1 to about 6 times daily, more preferably from about 2 to about 4 times daily. For particularly effective compositions once per day dosing is preferred. A safe and free radical regulating effective amount of a parenterally dosed composition is from about 0.1 mg to about 1000 mg, more preferably from about 5 mg to about 500 mg, of the chelating agent per dose. Dosing would range from about 1 to about 6 times daily, more preferably from about 2 to about 4 times daily. For particularly effective compositions once per day dosing is preferred. The compositions of the present invention can be used in a method for protecting the skin of humans and lower animals from the deleterious effects of UV radiation. Such protection by the chelating agent extends to damage resulting from acute UV exposure, e.g. erythema. It also more particularly extends to protection from damage resulting from chronic UV exposure, e.g. photoaging. Such a method comprises applying to the skin of the human or lower animal a safe and photoprotectively effective amount of the chelating agents disclosed hereinabove to be useful in the present invention. This may be accomplished by using a composition comprising the chelating agent as disclosed hereinabove. The actives involved in each of the following methods may be simply spread over the skin, or rubbed into the skin to enhance penetration of the chelating agent. The actives are applied in conjunction with UV exposure, i.e., prior to, during, or after UV exposure. More specifically, the actives may be applied several hours, preferably up to 4 hours, prior to UV exposure, up to 30 minutes after UV exposure, or anytime in between. For protection against acute damage from UV-radiation, application of the actives just prior to exposure is preferred. For protection against chronic damage from UV radiation, application is preferably 1 to 5 times daily, more preferably about 2 times daily, but for particularly effective compositions preferably once daily. Typically a safe and photoprotectively effective amount is from about 0.001 mg to about 1.0 mg, preferably from about 0.01 mg to about 0.5 mg, more preferably from about 0.05 mg to about 0.1 mg of the chelating agent per cm2 skin. A preferred method of the present invention for preventing deleterious effects caused by UV exposure involves applying both a safe and photoprotectively effective amount of a chelating agent and a safe and photoprotectively effective amount of one or more of a sunscreening agent, an anti-inflammatory agent, and/or a radical scavenging compound (as defined hereinbefore) to the skin simultaneously. By "simultaneous application" or "simultaneously" is meant applying the agents to the skin at the same situs on the body at about the same time. Though this can be accomplished by applying the agents separately to the skin, preferably a composition comprising all the desired agents commingled is applied to the skin. The amount of sunscreening agent applied is generally from about 0.01 mg to about 1.0 mg, preferably from about 0.05 mg to about 0.5 mg, per cm2 of skin. The amount of radical scavenging compound applied is generally from about 0.01 mg to about 1.0 mg, preferably from about 0.05 mg to about 0.5 mg, per cm2 skin. The amount of anti-inflammatory agent is generally from about 0.005 mg to about 0.5 mg, preferably from about 0.01 mg to about 0.1 mg.
Another aspect of the present invention is novel chelating agents which are useful as photoprotective agents. The novel chelating agents are advantageous photoprotection agents due to their good activity, stability, and/or substantivity (resistance to being rubbed or washed off skin). wherein each X is independently 0 or S, no more than one -R9 is hydrogen, and one or both -R9 are independently from 1 to 3 alkyl substituents. Preferred X is 0. Preferred -R9 are lower alkyl, preferably C1-C3, especially methyl. Preferred -R9 are saturated. Preferred -R9 are unsubstituted. Preferred -R9 are straight chain. Preferred -R9 are in the 3-position and/or the 5-position. Preferred -R9 are mono-substituents in the 5-position. A moisturizing lotion is prepared by combining the following components utilizing conventional mixing techniques. This lotion may be topically applied to inhibit damage caused by acute or chronic UV exposure. Use of an amount of lotion sufficient to deposit about 0.5 mg/cm2 of di-2-furyl ethanedione syn-monooxime, and about 0.5 mg/cm2 of the sunscreening agents to the skin immediately prior to UV exposure is appropriate. A low SPF suntan cream is prepared by combining the following components utilizing conventional mixing techniques. This cream is useful for topical application to inhibit damage caused by acute or chronic UV exposure. Use of an amount of cream sufficient to deposit about 0.5 mg/cm2 of di-2-furyl ethanedione anti-monooxime, and about 0.5 mg/cm2 of the sunscreening agents to the skin immediately prior to UV exposure is appropriate. A moisturizing oil-in-water-in-silicone sunscreen emulsion lotion is formed from the following ingredients. In a suitably sized vessel equipped with a suitable mechanical stirrer (Tekmar Model RW-20 stirring motor, manufactured by IKA-WERK, Germany), the water, pantethine, methylparaben, glycerine and sulfonate emulsifier are heated to about 72-75°C and mixed. Stirring is increased until a vortex forms in the aqueous solution. The thickener, Carbomer, is slowly added to the vortex and allowed to mix until completely hydrated and the resultant gel solution is free of gelatinous particles and is uniform in composition. The temperature is maintained at about 72-75°C with constant agitation. The oil phase ingredients are added to a separate suitably sized vessel and heated to about 80-85°C using slow mechanical stirring once the oil phase becomes molten. At this point the sunscreening agents, naproxen, and di-(5-methyl-2-furyl) ethanedione syn-monooxime are mixed in. When molten, agitation is maintained to keep the oil phase uniform during heating. The heated oil phase is then slowly added to the heated water phase with stirring to form the oil-in-water emulsion. After addition is complete, the mechanical stirring means is slowed to avoid unnecessary aeration of the emulsion and mixing is continued for approximately fifteen minutes at 70-75°C. The emulsion is then cooled to about 60°C with moderate agitation. The base, triethanolamine, is then slowly added to neutralize the acidic Carbomer 940 and the emulsion (pH 6.5) is mixed at moderate speed until uniform. The homogeneous oil-in-water emulsion is then cooled to about 45-50°C and the colorant and odorant oil are added followed by cooling to room temperature (about 25°C) with continued moderate agitation. The four silicone fluids and other silicone phase ingredients are mixed together in a separate vessel until a uniform silicone phase is attained. The oil-in-water emulsion is slowly added to the silicone phase with stirring until a homogeneous oil-in-water-in-silicone double emulsion in lotion form is attained. This moisturizing lotion is useful for topical application to inhibit damage caused by acute or chronic UV exposure. Use of an amount of lotion sufficient to deposit about 0.5 mg/cm2 of di-(5-methyl-2-furyl) ethanedione syn-monooxime, about 0.5 mg/cm2 of sunscreening agents, and about 0.1 mg/cm2 of naproxen to the skin immediately following UV exposure is appropriate. This lotion may also be applied several times daily, e.g., 2 or 3 times daily, for extended periods of time, i.e., greater than one week, in amounts sufficient to deposit about 0.5 mg/cm2 of di-(5-methyl-2-furyl) ethanedione syn-monooxime, about 0.5 mg/cm2 of sunscreening agents, and about 0.1 mg/cm2 of naproxen to the skin to inhibit damage caused by chronic UV exposure. A shampoo composition is made by combining the following components. The ammonium lauryl sulfate, ammonium laureth sulfate, and ammonium xylene sulfonate are first mixed together. The di-(5-ethyl-2-furyl) ethanedione anti-monooxime and octyl dimethyl PABA and perfume and minor ingredients are added and the resulting mixture is agitated in a Teckmar® Mill set at 70 for 2 minutes at 70°C. The resulting shampoo composition is added to hair which has been wetted with water, worked through the hair then rinsed out. This allows for deposition of di-(5-ethyl-2-furyl) ethanedione anti-monooxime and octyl dimethyl PABA to the scalp to inhibit damage caused by acute or chronic UV exposure. Use of an amount of shampoo sufficient to deposit about 0.05 mg/cm2 of di-(5-ethyl-2-furyl) ethanedione anti-monooxime and 0.05 mg/cm2 of sunscreening agent to the scalp prior to or immediately following UV exposure is appropriate. Extraction of the water washes with methylene chloride results in an additional 2 g of product. The two products are combined and recrystallized from 20% water/ethanol. (b) a safe and effective amount of a topical carrier comprising an emollient. The composition of Claim 1 wherein -R1 and -R2 are both furyl, unsubstituted or substituted with C1-C3 alkyl, preferably unsubstituted or substituted with methyl. The composition of any of Claims 1-2 which is a topical photoprotection composition wherein the composition comprises from 0.5% to 10% of the compound, and wherein the composition preferably additionally comprises one or more of a safe and effective amount of a sunscreening agent, a safe and effective amount of an anti-inflammatory, a safe and effective amount of a retinoid, or a safe and photoprotectively effective amount of an anti-oxidant or radical scavenger. Use of a compound as described in Claim 1 or 2 for manufacture of a topical photoprotective composition for protecting against photodamage of the skin, or regulating biochemical and cellular damage resulting from free radical reactions. Use according to Claim 4 wherein the composition additionally comprises a pharmaceutically-acceptable topical oral or injectable carrier. wherein X is O or S, preferably O; and one or both -R9 are independently C1-C6 alkyl, preferably both -R9 are C1-C3 alkyl in the 5-position of each furyl ring. FR2939799B1 (en) 2008-12-11 2011-03-11 Sederma Sa Cosmetic composition comprising acetylated oligoglucuronanes. FR2941232B1 (en) 2009-01-16 2014-08-08 Sederma Sa New peptides, and compositions comprising the cosmetic uses and dermo-pharmaceuticals. FR2941231B1 (en) 2009-01-16 2016-04-01 Sederma Sa New peptides, and compositions comprising the cosmetic uses and dermo-pharmaceuticals. FR2945939B1 (en) 2009-05-26 2011-07-15 Sederma Sa Cosmetic use of the dipeptide arg-tyr to fight against sagging skin. MX2016008156A (en) 2013-12-19 2016-09-14 Procter & Gamble Shaping keratin fibres using an active agent comprising a functional group selected from the group consisting of: -c(=o)-, -c(=o)-h, and -c(=o)-o-. MX361097B (en) 2013-12-19 2018-11-27 Procter & Gamble Shaping keratin fibres using an amine or a diamine. MX2016007998A (en) 2013-12-19 2016-09-13 Procter & Gamble Shaping keratin fibres using carbonate ester. MX2017006150A (en) 2014-11-10 2017-07-27 Procter & Gamble Personal care compositions. MX2017008204A (en) 2014-12-19 2017-10-06 Procter & Gamble Shaping keratin fibres using arabinose and ethylene carbonate. ES2336083T3 (en) 2010-04-08 Systems topical use of multivesicular emulsion. FI82888C (en) 1991-05-10 Hjaelpaemne Foer propagation of a pharmaceutically verkande aemne pao to the skin. ES2367363T3 (en) 2011-11-02 Compositions for personal care with glycerine and quaternary hydroxypropylammonium.